Zillow has countered that BuildZoom’s study is full of assumptions that fail to account for key differences between the portals. The search parameters used in surveying the number of each portal’s listings in each city may differ greatly in some areas. 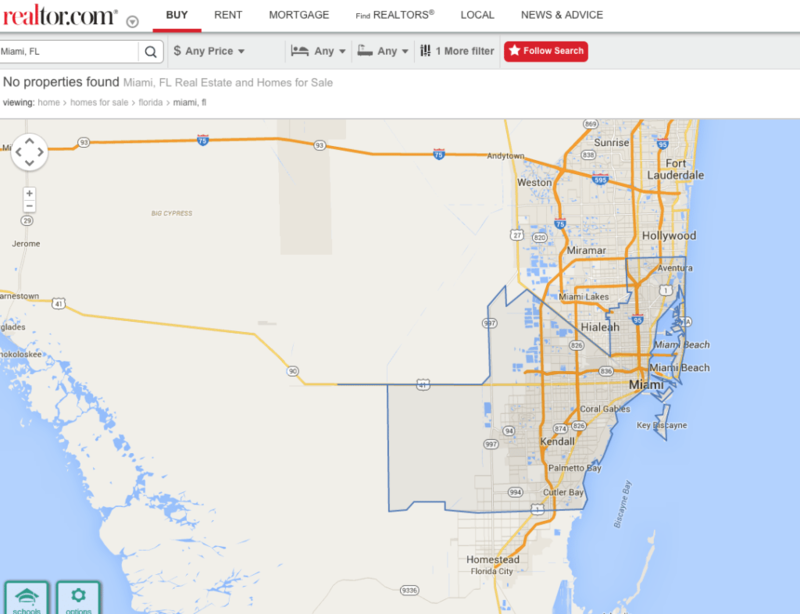 Editor’s note Oct. 8, 11:40 a.m. PDT: BuildZoom has reinstated its blog post that outlined the discrepancies between realtor.com and Zillow listings after reviewing its data and methodology. It has updated its study to ensure geographic boundary differences between the portals do not affect its data or findings. Editor’s note Oct. 7, 11 a.m. PDT: The BuildZoom blog post that outlined the discrepancies between realtor.com and Zillow listings has been pulled due to issues with methodology and data. BuildZoom, a website whose mission is to “bring accountability into the world of home remodeling,” is holding online real estate marketplace Zillow Group accountable for what it suggests are “data quality issues in Zillow’s database” — and Zillow’s legal team is acting quickly to squash the company’s allegations. Zillow has countered that BuildZoom’s study is full of assumptions that fail to account for key differences between how each portal defines key geographic territories, and it has taken legal action. The trouble between BuildZoom and Zillow began in April, when BuildZoom decided to examine the impact of Move’s ListHub, an MLS data aggregator and a major source for both Zillow and Trulia, terminating its contract with Zillow. Meanwhile, realtor.com, which likely benefited from operator Move’s decade-long relationship with the National Association of Realtors (NAR), saw steady growth in the number of unique visitors to its website — particularly after its acquisition by News Corp., when it surpassed Trulia to become the second-most popular portal, BuildZoom alleged. But “we gave Zillow Group the benefit of the doubt by expressing our belief that it was well poised to obtain many more MLS agreements,” BuildZoom said on its blog. Zillow reacted swiftly to BuildZoom’s allegations, issuing a cease-and-desist order to the company “on the grounds that we collected the information therein in an automated fashion that violated the portals’ terms of service,” BuildZoom stated in its blog. “Fearing the implications of a lawsuit by a large corporation — regardless of the ultimate outcome — we obeyed the order by retracting the blog post,” the company stated. But it wasn’t done with Zillow quite yet. “Rather, the survey of the number of listings uses the same tools that a consumer visiting the portals would be using,” BuildZoom stated. It may be impossible to make an “apples-to-apples” comparison between the two portals’ listings. In fact, it may actually be more like comparing apples to soccer balls, as the search parameters used in surveying the number of each portal’s listings in each city may differ greatly in some areas. 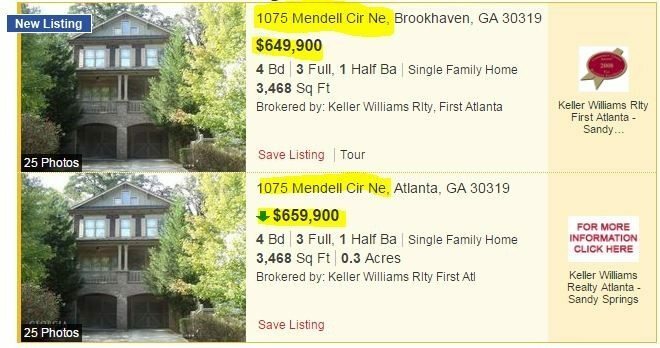 Attempting to circumvent Zillow’s cease-and-desist order by manually recording the number of listings on Zillow.com and realtor.com for the core cities of the 51 largest metropolitan areas, BuildZoom undertook another study in September. What’s more, in some large, hot real estate markets such as Los Angeles, New York and Phoenix, Zillow provides more listings than realtor.com, but “while this may indicate the absence of some listings from realtor.com, it may also reflect data quality issues in Zillow’s database, such as incorrect listing details or duplicate or expired listings,” BuildZoom suggested. The results of BuildZoom’s latest study comparing the number of listings on Zillow to those on realtor.com. This is the chart that Zillow requested BuildZoom to remove in its cease-and-desist order. “At least superficially, the numbers appear to support realtor.com’s claim of having superior data, but does realtor.com’s advantage matter for Zillow Group?” the company stated in its blog post. “As long as Zillow Group continues to draw substantially more traffic than realtor.com, agents and brokers will continue to feel compelled to advertise on its portals. As a result, Zillow Group revenue is less sensitive to its listing coverage than one might think. Why is a company that serves to connect homeowners with licensed contractors questioning the accuracy of real estate listing portals? BuildZoom said the takeaway for homebuyers, Realtors and investors “is that the number of listings being provided still varies widely from city to city,” but in an interview with Inman, BuildZoom Chief Economist Issi Romem discussed the company’s other objective in publicly criticizing Zillow. “We’re not trying to antagonize Zillow. We want to get our website’s name out there,” Romem said. Language on realtor.com’s own website states that its listings, derived from more than 900 MLSs across the country, updates every 15 minutes and may be listed by the same brokerage for sale in multiple MLSs, with varying levels of detail. “This means a single home can have one or more listings on realtor.com,” realtor.com warns users. Realtor.com declined to comment on the methodology it uses to define geographic territories. So what does BuildZoom intend to do going forward? “It depends on how the legal actions play out. We don’t want to get into a lawsuit if we don’t need to,” Romem said. This is not the first time that the accuracy of Zillow’s estimates have been questioned — and as the debate over the democratization of real estate property data persists, it’s unlikely to be the last. Publications including The Wall Street Journal and Fortune have taken Zillow to task over how close its estimates (or “Zestimates”) come to actual sale prices. The FTC later elected not to investigate the accusation, and the NCRC withdrew its complaint. Interestingly, there are some similarities between elements of BuildZoom’s business model and that of Zillow. Zillow has property data on more than 100 million homes across the country, including data on homes that are not currently listed for sale; BuildZoom has listings for 3.5 million licensed contractors, of which about 100,000 have signed up as customers. Zillow’s data comes from a variety of sources, including publicly available data and information from some MLSs; BuildZoom culls together its database from state-level information on licensed contractors. Zillow’s Premier Agent program gives agents extended visibility, not just on its website, but also across its mobile apps and on Yahoo! Real Estate. BuildZoom’s revenue was based on a subscription model that gave some contractors higher priority on listings, but according to Romem, the company recently began phasing in a “low-commission program” under which contractors agree to pay BuildZoom a 2.5-percent commission fee on completed projects, “so that instead of focusing on getting as many leads as possible, we are incentivized properly on both sides to see a project completed to a homeowner’s satisfaction,” Romem said. BuildZoom assigns a “score” to each contractor listing to give consumers a sense of its performance and abilities — reminiscent of Zillow’s “Zestimate” home valuation model, or estimated market value of a home, although BuildZoom’s contractors may be disappointed to find out that Zestimates do not take into consideration certain home-specific factors such as remodeling. But any similarities between the companies end there. By comparison, BuildZoom is a relatively small startup, having launched in 2013 while participating in Y Combinator, a venture-capital entity that provides seed money and other assistance to startups in exchange for 7-percent equity in the company. In October of last year, the company raised a second, $2.15-million round of financing, and now has offices in San Francisco and Oklahoma City, as well as a small office in Manila, “where we have two coders,” Romem said. BuildZoom attached its name to another well-known company late last year, when Co-Founder David Petersen created a profile on the dating app Tinder for a robber he said stole $30,000 worth of computers and gadgets from BuildZoom’s office in San Francisco. According to media reports, after Petersen posted the thief’s photo alongside the words, “I rob offices in SF, $5,000 reward for identifying me,” someone contacted the company with a photo and name of the suspect.